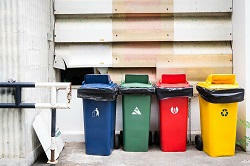 Tidy up Right with Our Rubbish Collection Services in Chelsea! Excess waste is a genuine problem, and it's not something that can be ignored. If rubbish is left to pile up, it can attract flies, rats and other nasty vermin. So what's the best way to get rid of waste that's piling up in your backyard, or fly-tipped waste for that matter? Well, a professional Chelsea rubbish collection service is a good place to start. Here at Rubbish Removal Chelsea, we provide a convenient answer to all your rubbish removal problems. With us on board, you don't have to risk moving waste yourself, or hiring a van or skip to dispose of garbage. We will handle it all, no problem! No matter what type of rubbish collection you want us to handle, we can take care of it. Home or office renovations, DIY work, or just old fashioned rubbish – it's all the same to us. Our professional staff take care of tasks like this on a regular basis, and we've got all of the relevant equipment. So in short, there really is no need to worry! Just contact us on 020 8396 7187, and let us know what type of clean-up job you want doing, and we'll be happy to accommodate. We're all about providing convenient and consumer friendly local to Chelsea waste removal services here, and the first step is the most important one. The key to a convenient service is making it as accessible as possible, and that's what we do here. We can easily work around you, and your business' schedule. So there is no need to fuss over the details – you can leave them to us. We provide some of the finest rubbish collection services in the SW3 area, and that's got a lot to do with how we conduct business. We get things done thoroughly and efficiently, and with an eye for detail. You can count on that, no matter how large or small the task at hand is. If you've any doubts about our disposal methods being eco friendly, then rest assured. We've got all of the right licenses, and recycle as much as possible. We take our environmental responsibilities very seriously, and take care of the rubbish clearance properly. We make sure that we leave as little impact on the environment as possible. You know what else will be left intact when you hire with us? Your bank balance. Our SW10 based junk removal services start at a very low price indeed. That means you can enjoy the benefits of a professional clear-up without any of the financial repercussions. Call us on 020 8396 7187 today for free price quote! 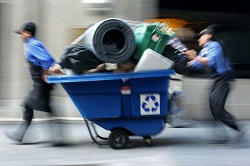 So there you go, Rubbish Removal Chelsea is easy to hire, affordable and convenient. Chelsea rubbish removal and disposal SW3 is a job that should be handled by the professionals, so you can ensure that all aspects of the process get the attention to detail they need. With us, you can count on it. So if you live in Chelsea, SW3, and are looking to have a home or office clear out (or just have things to get rid of in general), forget the skip hire. Contact us instead on 020 8396 7187. Professional junk disposal services have never been cheaper or easier to hire!